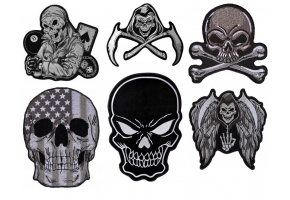 Dragon with Skulls Patch measures 5x2.5 inches and is Embroidered in Black / White. 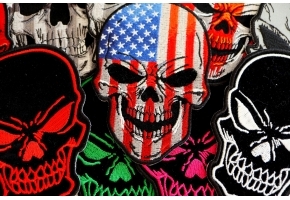 This Dragon and Skulls Patch is also available in a reflective version as well. 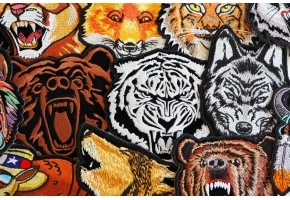 This particular one however is embroidered over black twill material in white embroidery thread. It's a neat simple design featuring a dragon with spread wings and a tail wrapping around a bunch of human skulls depicting his deadly appetite for human flesh. 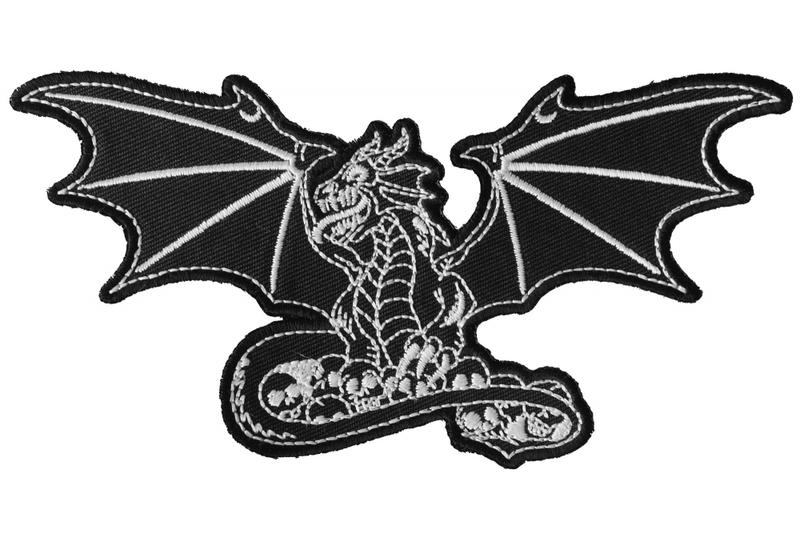 While you can find the black version in a small size only, the reflective Dragon patch is available in both a large back patch and a small front pocket patch. It's always a good idea to have a reflective patch on your jacket to increase your chances of another driver actually seeing you at night. For safety it's better to have a reflective patch on your jacket vs not having one. Although it doesn't mean it would be a life saver at every situation it will really increase your chances of being seen.